The American Health Council welcomed Daniel Lichtstein, MD to its Board of Physicians for his outstanding contributions to the medical field. 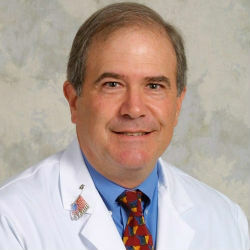 Currently serving as the Regional Dean for Medical Education at the Regional Medical Campus of the University of Miami Miller School of Medicine in Florida, Dr. Lichtstein is responsible for the oversight of all undergraduate and graduate medical education activities on the regional campus. While he has held his current role for seven years, he has spent the last 43 years in the healthcare industry expanding his skills and knowledge in general internal medicine, undergraduate medical education and graduate medical education. With a desire to positively impact others’ lives, Dr. Lichtstein decided to pursue a career in the medical field to fulfill that desire. After earning a bachelor’s degree from Michigan State University, he enrolled at the State University of New York Downstate Medical Center College of Medicine and earned a medical degree in 1974. He subsequently completed a residency at the University of Miami affiliate Jackson Memorial Hospital — where he has named chief medical resident — and immediately began practicing in the field. Board certified by the American Board of Internal Medicine, Dr. Lichtstein joined the Miller School of Medicine in 1996 and has since served as program director of the internal medicine residency program at the Jackson Memorial Hospital and professor of medicine. Dr. Lichtstein served two terms as treasurer of the American College of Physicians (ACP) Florida Chapter and course director or co-director for the Internal Medicine Board Review recertification in Orlando for 15 years. To commemorate his achievements, the Florida ACP Chapter awarded him the Laureate Award in 2007. His alma mater SUNY Downstate Medical Center awarded him the William Dock Master Teacher Award in 2009 and he received the Palm Beach County Medical Society’s Excellence in Medical Education Award. In 2013, the ACP elected Dr. Lichtstein to Mastership for his role as a citizen physician, educational innovator, humanist and teacher-learner who inspires those around him and sets high standards for the practice of internal medicine, according to a press release from the ACP. He remains an active member of the ACP, where he has been invited to speak at its Annual Session for six years. He contributes to the South County Medical Health Center and serves as a board member of the Palm Healthcare Foundation. With a successful career at hand — one that he attributes to his ability to commit to his students, residents and patients as well as his work ethic — Dr. Lichtstein plans to continue to positively impact future doctors at the University of Miami. As South Florida’s only university system, UHealth is a vital component of the community. UHealth’s comprehensive network includes three hospitals and more than 30 outpatient facilities, including The Lennar Foundation Medical Center, in Miami-Dade, Broward, Palm Beach, and Collier counties, with more than 1,200 physicians and scientists.